ABC’s Good Morning America will be live at Silver Dollar City, December 1st, 2007 from6 a.m – 7 a.m. Branson is part of a 5-day special called “GMA Lights Up The Holidays”. The first 500 guests qualify to bring a new unwrapped toy and get a free return ticket to Silver Dollar City good for anytime in the month of December. The toys will go to benefit Love,INC. Whether watching from land or water, your family is sure to enjoy this fantastic firework display. Fireburst will be held July 4th, 2008 on Table Rock Lake near Kimberling City. The annual Corvette Car Show will be taking place June 13th – June 15th, 2008. The car show will be at Southern Oaks Inn off Shepherd of the Hills. Enjoy Civil War reenactments, storytelling, music, craftsman as many people share the history of Missouri’s Wilderness Road. Kewpiesta is a celebration of Rose O’Neill’s famous Kewpie dolls. While enjoying the Kewpie’s take a tour of Rose’s home Bonniebrook. Kewpiesta is April 23rd – April 27th, 2008. 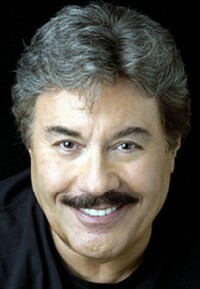 (Branson, MO) — Tony Orlando is bringing his "Yellow Ribbon Salute to Veterans" to the Welk Resort Theatre this year and will follow it up with two special performances of the "Tony Orlando Show" on Monday, November 12 at 2 p.m. and 8 p.m. Admission to the Tony Orlando Yellow Ribbon Salute to Veterans on Sunday, Nov. 11 at 2 p.m. is complimentary but limited to veterans and special guests. There is a limit of two tickets per veteran with proof of service (military ID or DD Form 214 accompanied by a current photo ID.) Tickets reserved in advance must be picked at the Welk Resort Theatre Box Office no later than 5 p.m. on Friday, Nov. 9. Any tickets that are not picked up by that deadline will be available on a first-come, first-served basis to veterans (with proof of service) beginning Saturday, Nov. 10 at 8:30 a.m. at the Welk Resort Theatre Box Office. A highlight of the salute is Orlando's presentation of the Yellow Ribbon Medal of Freedom. Past recipients have included former President Gerald Ford, entertainer Bob Hope, Ross Perot, the Eisenhower family, former Secretary of Veterans Affairs Anthony Principi, former Branson Mayor Lou Schaefer and former POW Major Stephen Long. This year's salute will also include the Branson Veterans Task Force Closing Ceremony for Veterans Homecoming Week 2007. "The Welk Resort has a proud tradition of saluting Veterans and supporting Branson Veterans Homecoming Week with the annual Traveling Vietnam Veterans Memorial Wall," said Joe Sullivan, executive producer of Welk-Sullivan Productions and the Welk Resort Theatre. "Tony's Yellow Ribbon Salute has always been considered the anchor for Branson's veterans week celebrations. Helping Tony Orlando continue the tradition of his "˜Yellow Ribbon Salute To Veterans' is one special way we, as an organization and member of the Branson community, can honor our Veterans and active-duty military," said Sullivan. The Tony Orlando Show on Monday, Nov. 12 will showcase the much-beloved and admired entertainer for fans who have eagerly awaited Orlando's return to the Branson entertainment scene. The versatile entertainer brings to the stage special warmth and energy that electrifies audiences. The show will feature his string of chart-topping songs including "Candida," "Knock Three Times," "Sweet Gypsy Rose," "He Don't Love You (Like I Love You)," and the song that became an American anthem of hope and homecoming, reunion and renewal — "Tie A Yellow Ribbon Around The Old Oak Tree." Tickets for the "Tony Orlando Show" on Monday, Nov. 12 at 2 p.m. and 8 p.m. are available at the Welk Resort Theatre Box Office, by calling 417-337-7469, on-line at www.sullivanshows.com and through select Branson area ticket outlets. The Traveling Vietnam Veterans Memorial Wall is open daily for viewing from 8:00 a.m. to 10:00 p.m. through Sunday, Nov. 11. The Welk Resort's annual gift to veterans, visitors and the community has become a popular part of the week-long, community-wide Branson Veterans Homecoming since the mid-1990s. The scale-replica of the permanent monument in Washington D.C. is inscribed with the names of over 58,000 soldiers who gave the ultimate sacrifice for their country. The special display honors those who served in the Vietnam War in a unique, solemn and personal way. Larry Gatlin & The Gatlin Brothers and The Lennon Sisters — Celebrating Christmas, Monday thru Friday (except Monday, Nov. 12 due to Tony Orlando Show performances). The Lowe Family Morning Show — Monday thru Friday. Mel Tillis & Connie Smith — Tuesday, Thursday, Saturday & Sunday. Tony Orlando's Yellow Ribbon Salute to Veterans — Sunday, Nov. 11 at 2:00 p.m. — free to veterans and one guest. Tony Orlando Show — special concerts on Monday, Nov. 12 at 2:00 p.m. & 8:00 p.m. The Welk Resort is located three miles south of Highway 76 on State Highway 165 in Branson. For more information and tickets, call the Welk Resort Theatre at 417-337-7469. Actor Gary Conway"™s Dramatic Film Woman"™s Story Set For November in Missouri. Paso Robles, CA — From November 9-11, Branson and Springfield, MO will hold a series of Celebrations of the Arts when actor Gary Conway"™s visually arresting dramatic film WOMAN"™S STORY (with Erin Gray and Kent McCord, who star with Conway) premieres at local cinemas, preceded or followed by Missouri-California wine pairing-tastings, filmmaker & artist receptions, artisan wine events, and silent auctions to benefit local educational and cultural institutions, all of which will include personal appearances by filmmakers, artists, winemakers and special guests. The first event will be an 8:30 p.m. "Celebration of the Arts" at Clary’s restaurant in Springfield, on Friday, November 9, following the 7:00 p.m. Missouri premiere of the new film WOMAN’S STORY at the Wehrenberg Campbell 16 Cine. There will be a wine tasting and pairing event at Clary’s restaurant in Springfield on Saturday, November 10 at 4:30 p.m., preceding the evening screening at 7:00 p.m. In Branson on Saturday, November 10 at 7:00 p.m., the film premieres at the Branson Meadows Cinemas, followed at 8:30 p.m. by "Palette to Palate — Taste of the Arts" at Liberty Tavern Branson located in the Hilton Promenade Hotel. On Sunday, November 11 at 8:30 p.m. "Palette to Palate, Part 2 — Feast for the Senses" is set for Liberty Tavern Branson, following the 7:00 p.m. screening in Branson. The Branson events are organized in conjunction with Palate of Branson where reservations can be made for the Branson events by calling (417) 335-2675. Reservations for the Springfield events can be made with Clary"™s at (417) 886-6200. The top wineries and winemakers in Missouri will be on hand with their finest artisan wines, including stellar wineries Stone Hill, Mt. Pleasant, St. James, Adam Puchta, Branson Ridge, Meramec, White Rose, Hermannhof, and OOVVDA. One of the highlights will be a special Missouri-California pairing and terroir colloquy which will include the estate wines of California’s Carmody McKnight. The University of Missouri-Columbia"™s Missouri Regional Cuisines project will be a participant. Funds generated from ticket sales and silent auctions of special wines and art will benefit the Miss America/Miss Missouri Scholarship Organization, providing scholarships for young women, and Fighting for the Arts, which seeks to restore art and music education in our schools. At all events, WOMAN"™S STORY director, writer and star Gary Conway and producer/former Miss America Marian McKnight Conway, proprietors of Carmody McKnight Estate Wines in Paso Robles, CA, will pair and discuss terroir wines of Missouri and California in conjunction with the top Missouri winemakers in an exchange of ideas on the culture of wine and art making. WOMAN"™S STORY stars former super-model and award-winning actress Erin Gray (Silver Spoons, Buck Rogers in the 20thCentury, Baywatch, Six Pack), award-winning actor Kent McCord (Adam-12, Farscape, Predator 2, Airplane II, The Adventures of Ozzie & Harriet) and Gary Conway (Burke"™s Law, Land of the Giants, The Farmer, Once is Not Enough, I Was a Teenage Frankenstein). Filmed in Memphis, in a lovely lake region in Arkansas and in the Central Coast of California, the film dramatizes the breakup of a long and seemingly successful marriage and focuses on what leading thinkers predict will be the major issue of the 21st Century: the disintegration of the family in a material-obsessed world. The music in WOMAN"™S STORY by Bach, Vivaldi, Liszt and Locatelli was performed by Philharmonia Virtuosi, under the direction of Richard Kapp, featuring pianist Jerome Rose and violinist Mela Tenenbaum. A prominent critic recently called the soundtrack the best-ever recording of Bach. Former Los Angeles Times and Variety critic Dale C. Olsen declared, "I found myself engrossed in the human quality of the story. 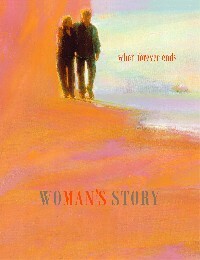 The look of WOMAN"™S STORY is much like a great painting. I don"™t know when in 40 years of being involved with film that I"™ve seen one with such a vivid sense of color and shadings. The classical music score sets exactly the right tone for the profound passion the story delivers. The performance of leading actress Erin Gray was stunning in its honesty and believability." Renee Sanpei wrote in Women"™s Press: "The overall effect of the film was one of feeling elevated by its reverence for life. Hearing the thoughtful dialogue, the pensiveness of the characters and the humor coming of the angst and pain gave me time to digest it all. It was cathartic watching a woman handle herself with such poise, while she is met with dishonest, heartbreaking and challenging events of her life, not to be further degraded but to gather her strength, retain her warmth and rise above it. The music of Vivaldi complements so well this celebration of the invincible spirit." The San Luis Obispo Tribune"™s Katy Budge called WOMAN"™S STORY "a beautiful and mature film that tells the truth about personal relationships, the family and social threats to the human condition. Gary Conway relied heavily on his talents as a painter. Scenes are shaped with rich color, elegant baroque music, dramatic rural and urban landscapes, and understated, honest performances." And Kathryn Riddle wrote in Cleveland Currents: "WOMAN"™S STORY is a stunning, provocative, intelligent film dignifying themes of renewal and strength through creativity." Gary Conway explains: "With WOMAN"™S STORY I was committed to move the film form to a more visual place. As a painter all my life, I believe that film, at its best, is closer to painting than, let"™s say, the novel or a play. Almost every shot, from the very first scene when Laurel, the heroine, is driving to town, relies on visual composition to convey the essential story, while underscoring the layered themes with mood and emotion. I wanted the close-ups to be portraits and the long shots — landscapes as well as the architecture — to be like paintings. I also wanted to celebrate all the arts in this film: painting, photography, drawing, sculpture, architecture, music, theater, dance, food and wine." WOMAN"™S STORY deals with the central social and cultural themes of our time: how our "consumer-based" society is destroying the family structure, and with it a sense of woman"™s innate value. Today 70% of parents and 79% of children end up in single-parent families. "People have been forced into economic and social decisions that make the family secondary," Conway laments. As part of a slow, deliberate, platform-release strategy, WOMAN"™S STORY has already been shown in pre-release screenings at highly successful wine-food-art-movie premiere events in eight Ohio, Virginia and California cities. These community events have raised scholarship funds for major museums, schools and universities. In some cases, after the event, the towns set up special education programs and/or community art centers. To date, more than 200 scholarships have been created from the proceeds. "I see true independent winemaking and filmmaking as very similar processes," Conway concludes. "They both are the definitions of patience. On average it takes at least eight years to make and distribute an independent film. It takes the same from planting the vine to the barrel to the bottle. When you can put music, film, art, food and wine together, it creates a truly memorable event and gives us a chance to show the divine commonality between these art forms." Gary Conway has painted since age four and was the youngest artist to win a major prize at the Los Angeles County Art Exhibition. Before age 16, he was awarded full scholarships at the three most prestigious art schools in the U.S., and he later earned a Bachelor"™s Degree in Art History at UCLA. While an art major moonlighting as an actor in the UCLA drama department, Conway was spotted by a scout and landed a contract with Warner Brothers. Over his career, he has performed in over 200 films and TV episodes, including starring roles in the TV series Burke"™s Law and Land of the Giants and the films The Farmer, Black Gunn and Once is Not Enough. He wrote the script of the movie Over the Top and screenplays for the American Ninja films, also originating screenplays for stars Laurence Harvey, Catherine Deneuve and Eddie Murphy. The multi-talented Conway is also an accomplished violinist (performing at the Hollywood Bowl), architect (with his residential work featured in Design West), author (Art of the Vineyard), and painter (whose art is widely exhibited in one-man shows and in galleries on both coasts). During a helicopter crash, Conway instantly fell in love with a 320-acre Central California coastal ranch that became his family"™s vineyard. In the past two decades, the vineyard"™s rare super-soils and its highly productive microclimates have made Carmody McKnight Estate Wines widely famed and beloved. A POW/MIA Service of Tribute and Remembrance will be held at the Wall at 8:00 a.m. on Wednesday, November 7. The Welk Resort's annual gift to veterans, visitors and the community has become a popular part of the week-long, community-wide Branson Veterans Homecoming since the mid-1990s. The scale-replica display of the Vietnam Veterans Memorial is open daily for viewing from 8:00 a.m. to 10:00 p.m. through Sunday, Nov. 11. During the seven-day display period, community volunteers are reading aloud continuously the names inscribed on the Memorial. The exhibit is located on the lawn (north side) of the Welk Resort complex. Visitors may access the "Traveling Wall" exhibit by going through either the Welk Hotel lobby or the Welk Theatre lobby. The week-long display, Opening Ceremony and POW/MIA Service are free and open to the public. Larry Gatlin & The Gatlin Brothers and The Lennon Sisters — Celebrating Christmas, Monday thru Friday. In 1950 in the early days of the Korean War, the American military knew that about 250 Americans had been loaded on a North Korean train to be transported to prison camps near the Yalu River. Samuel Clark, a paratrooper with the 187th Airborne Regimental Combat Team, would be dropped, with the rest of his unit, in front of the train to rescue the prisoners. The weather interfered and delayed the drop. When it finally occurred, it was too late. The North Koreans had pulled the train in a tunnel to hide from American aircraft. They systematically took the prisoners out in small groups, under the pretext of feeding them. They executed them by firing squad. Six of the survivors will launch their book, Sunchon Tunnel Massacre Survivors, on Tuesday, November 6, at 9:00 am at the Celebration City Theater behind Vendor Village. Samuel Clark will finally share his story with them. He will tell about their mission and why it failed. He will share the sorrow he's lived with for 57 years. This event is open to the public. You are invited to attend and meet the people who lived this incredible story fifty-seven years ago. Melvin Smith, a WWII submariner, will sign copies of his wife's book, Submarine Stories of WWII, at its launch from 9:00 — 11:00 Tuesday November 6, at Celebration City Theater. He will be signing in the theater lobby in the afternoon and during the day Wednesday. Two Tuskegee Airmen will speak during Veterans Week. George Boyd, PhD, retired Major, will speak Wednesday morning at 10:30 am at the Celebration City Theater. Judge Robert Decatur, a Tuskegee airman, will speak Friday morning at 10:30 at the theater. These events are open and free to the public. The theater is in the back of Vendor Village at Celebration City. Please come and support our WWII veterans.